After the Yankees traded for Giancarlo Stanton in December, Red Sox fans were waiting for their team to make a big splash of their own this offseason. That finally happened last week with the signing of slugger J.D. Martinez, and it seems the Red Sox faithful are pretty excited. 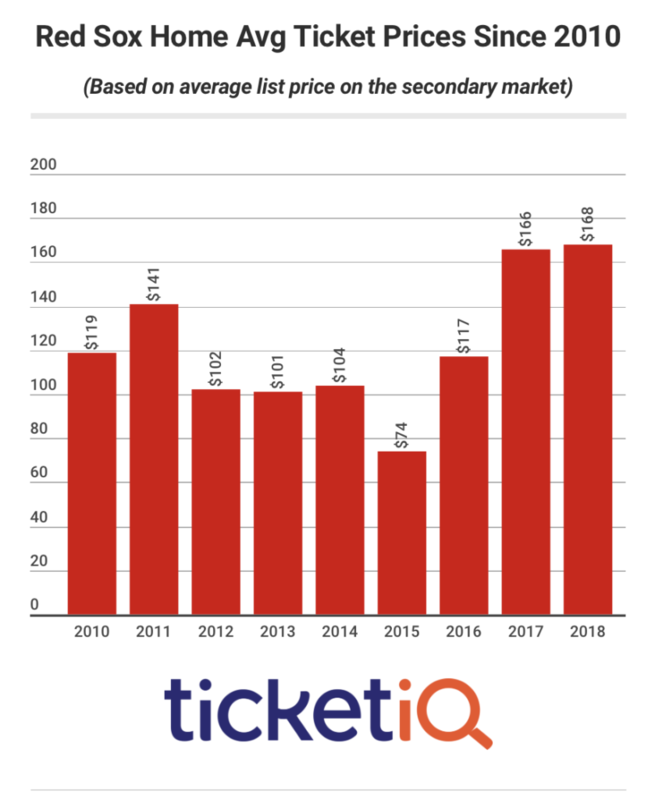 Since signing Martinez, the average asking price on the secondary market for Red Sox Opening Day tickets has risen nearly 21 percent to $333, according to data from TicketIQ.com. That’s more than 76 percent more than it cost to see Opening Day in 2017 ($189). Among the most expensive tickets in baseball, Opening Day at Fenway Park has cost more than $300 five times this decade. In fact, the most expensive ticket this decade was closer to $400 to $300 – in 2014, a year after winning their third World Series in nine seasons, an Opening Day ticket cost $395. Since breaking an 86-year drought with a World Series win 2004, Boston went on to win it all in 2007 and 2013. The cheapest OD ticket of the decade was $186 in 2015. Though the cost of an Opening Day ticket has skyrocketed, the average price for a regular-season ticket remains flat, according to TicketIQ.com. The current cost for a game at Fenway this season is $168, a mere $2 more than what it cost last season. 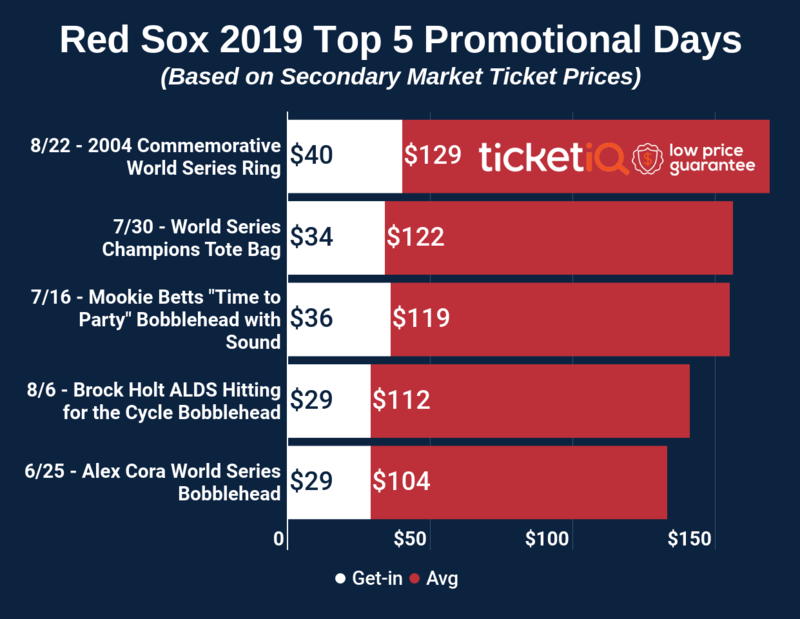 But it’s still the highest price of the decade – in fact, the average price of a ticket to the see the Red Sox during the regular season has been over $100 for eight of the last nine seasons. Always adding to the cost of a ticket to Fenway is the size of the ballpark. As one of only two pre-1920s ballparks (Wrigley Field is the other) left, it seats 37,949, making it the 26th biggest (or fifth smallest) field in MLB. By comparison, the biggest park in baseball is Dodger Stadium, which seats 56,000. The cheapest season to see the Red Sox at Fenway since 2010 was 2015, when the average ticket price was $74.